As you all know by now, Bow Wow and his on-again, off-again girlfriend Kiyomi Leslie (real name Leslie Holden) were arrested in Atlanta over the weekend for alleged battery on each other. 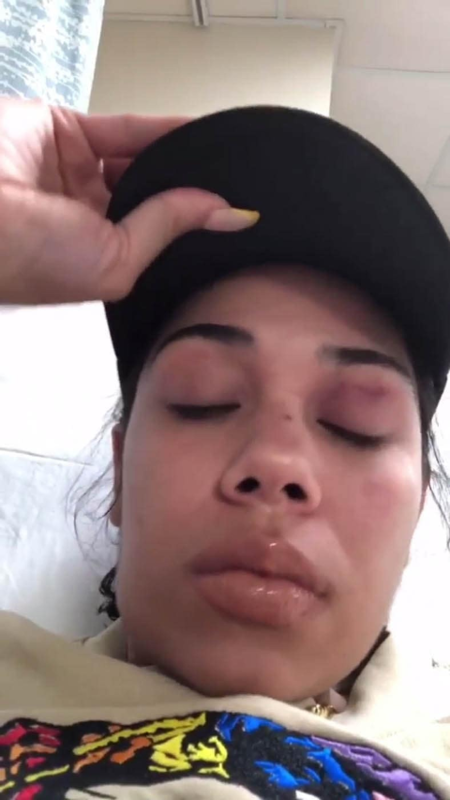 Now, the 9-1-1 call Kiyomi made after the physical altercation has leaked and it's very telling. On the call, Kiyomi tells the dispatcher the "Growing Up Hip Hop: Atlanta" star "physically assaulted" her and said she was able to escape after being held "hostage" to file a report against him. "He was hitting me. He was hitting me in places and he said no one is going to believe you," Kiyomi explained. Kiyomi claims she called the police earlier, but when they showed up, he and two of friends allegedly kept her inside of a bedroom, refusing to let her speak to police. Wow! She fought back tears while trying to explain to the dispatcher what happened. Take a listen here. 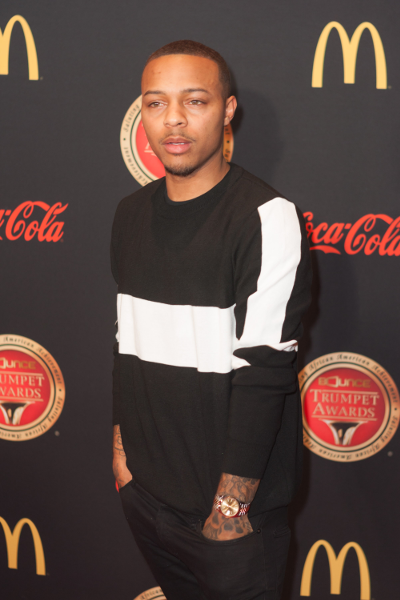 Bow Wow was booked at the Fulton County Police Station and charged for Battery Substantial Physical Harm. Kiyomi was also charged with Battery. On social media, folks have been having a field day making memes of Bow Wow's mugshot. If you haven't seen it, check it out HERE. Whew, chile. Sometimes it's just better to move on for the better. 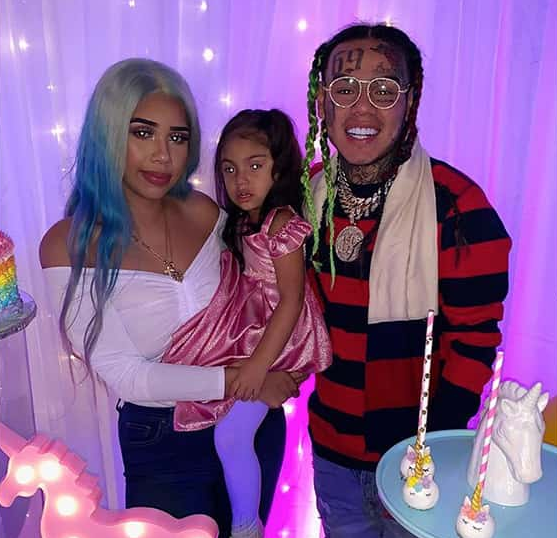 Tekashi 6ix9ine's ex-girlfriend/daughter's mother Sara Monlina is speaking out, sharing gruesome details about how she was physically and sexually assaulted by the rapper over their seven-year relationship. In a new interview with The Daily Beast, Sara details how he punched and kicked her for two whole hours in an attempt to get to her confess to cheating on him with his manager, Kifano "Shotti" Jordan, who is also facing a life sentence in prison over RICO charges like Tekashi, while they were in Dubai. She claims he beat her so bad, she went deaf in her right ear. It only got worse after that. She explains the NYC rapper almost choked the life out of her after refusing to let her leave. She claims he told her he had to make an example out of her for making him look "stupid." The next morning Tekashi allegedly raped her as she cried. She said she had two black eyes, her right ear was purplish black and her body was covered with bruises. Thankfully, their 3-year-old daughter was not with them. While the "FEFE" rapper is trying his damnedest to avoid a life sentence in prison over racketeering charges, Sara is trying to get her life together following the traumatic experiences at the hands of the man she once loved. She concluded, “I feel like real love shouldn’t be complicated." This isn't love baby girl. If you can stand it, read more details from the alleged assaults here.